When it comes to education, everyone learns exactly the same way, right? Not quite. While the terms “auditory” and “visual” learners have become somewhat more common, there are many other types of learners. While most people cross the lines of learning styles and can benefit from many types of learning, most people have a dominant learning style that helps them grasp and remember concepts more easily. Understanding and adapting to the different learning styles is crucial for anyone involved in any form of instruction, whether that’s teaching in a classroom, parenting, leading a Boy Scout troop or teaching Sunday School. WHAT ARE THE DIFFERENT TYPES OF LEARNERS? Visual, aural, verbal (reading/writing) and kinesthetic are the most common categories that people use to define learning styles. One theory called “VARK” (an acronym for the four types), claims that most individuals can fall into one of those four categories of learning. VARK was first put forward by Neil Fleming, a New Zealander, in 1987. In this article, we will also cover logical, social, solitary and naturalistic as they offer additional insight into the way that people learn. Visual is the most common type of learning style. This type of learning includes a predisposition toward images, colors, graphs, pictures, maps, etc. In other words, they want something they can feast their eyes on. Visual learners can also be very good with spatial thinking and recalling images or places in their minds. Visual learners excel at being detail-oriented because they notice very small changes in their surroundings. They also tend to do well with balance and alignment. Typically, a classroom is already geared toward visual learners. PowerPoints, writing on a whiteboard, maps, graphs, posters, pictures and many other visual aids are typical in a learning environment. This makes sense since visual learners account for up to 65% of the population, according to Social Science Research Network. Visual learners need text or long speeches mixed with something they can see. If they are watching a presentation, a PowerPoint with graphs and images would greatly help them receive the information and remember it later. When it comes to listening or reading, visual learners do better if the speaker or text includes imagery that they can imagine. If they can visualize what a speaker is talking about, they can better retain that knowledge. Aural learners love music and sounds of all kinds, but especially interesting ones like rhymes, rhythms and the spoken word. Auditory learners retain knowledge best through hearing information rather than seeing it. Auditory learners are very good at repeating information back once they’ve heard it. They tend to be good at noticing people’s inflection and tone or subtle changes in their language. Auditory learners are good at picking up language, verbal communication and retaining long lectures. They can also be fantastic storytellers. According to some studies, auditory learners make up for about 30% of learners. While this isn’t as many students as visual, it still accounts for a large percentage of the population. In the classroom, auditory learners benefit from things like lectures, music and speeches. They would be the type of person who could learn from a podcast and put what they’ve learned into action. When giving class assignments, auditory learners will often do better hearing the assignment rather than seeing it on paper. They will also benefit from having an oral exam as opposed to a written one. Another strategy for auditory learners is to have them repeat back information to the teacher as often as possible as opposed to always writing information down. An auditory learner may not take as many notes as their visual peers. People who excel at the verbal part of learning differ from visual learners because they are not discouraged by long texts. Verbal learners love language, whether written or spoken. People who are verbal learners are very good at absorbing information through the written word. They can take in vast amounts of complex written words and condense it into more easily digestible information. It isn’t as clear how many students fall into the verbal learner category. Previously, the VARK study only included three categories: Visual, Auditory and Kinesthetic. They later included reading and writing as a separate category. Verbal learners do very well with a lecture and note-taking types of teaching and they also excel at writing assignments and written tests. A good strategy for verbal learners is to have them rewrite information into their own words. They do very well at research writing projects or writing projects in general. To help them with new concepts, it’s a good idea to include a written handout for them to review. People in this category can also greatly benefit from the exuberant amount of information available on the internet. A verbal learner can easily pick up a lot of information quickly. A kinesthetic learner is a person who learns through physical action. They learn through making something. They prefer tactile learning and hands-on practical experience. Kinesthetic learners are good at picking up skills through active participation. They tend to be coordinated and do well at activities like building, sports, art or drama. They also are adept at learning by watching someone else. They’re likely to have great motor skills and hand-eye coordination. Kinesthetic learners reportedly make up about only 5% of the population. Therefore, many classroom environments are not geared toward kinesthetic learning. A student who responds to this type of learning style can come across as antsy and inattentive in the classroom. They may struggle to sit during long lectures or engaging in too much written or verbal learning. Kinesthetic learners do best when they can physically get their hands on something or move in some way. Kinesthetic learners can be given some leeway to doodle or move a little so long as it is not disruptive to the class. It can be beneficial to have them be a helper in class with things like handing out assignments. Mix up your class structure by breaking up lectures and sitting periods with physical movement. For younger learners, you can incorporate letters and numbers with movements and songs to get them learning while moving. Another strategy is to use hands-on experiences to teach them something. Science is a great field for this because experiments and nature observation can be incorporated comfortably into the learning schedule. People in the logical category are problem solvers. They see things in the realm of cause and effect. They like knowing that if A is true, B must follow. People with this learning style enjoy mathematical equations because math problems follow a logical flow. They also like patterns and logic problems. Logical learners are excellent at seeing how things are interconnected. They can understand complex patterns, math problems, and excel at strategy games like chess. Logical learners tend to be attracted to science fields like chemistry, and they’re often very comfortable with technology and computer science fields as well. Logical learners like to understand the how and why something happened. They respond well to statistics and data and other hard facts. Science and math are preferable because they offer clear answers for how someone comes to a basic conclusion about something. In other words, these fields often offer definitive answers, or at least a course of action, to get to the answer. Logical learners do best when the classroom is very structured. They tend to struggle more with open-ended questions and assignments. To help them connect to subjects that may not fit comfortably into the logical sphere, try to incorporate things that they can connect with. For history and geography, including statistics and graphs can be helpful. Explain how countries interact with one another and the reasons there are conflicts. For fields like art, music and literature, try to find a more logical angle. For instance, logical learners might identify with the rules of poetry like the meter or rhyming patterns. They might be able to analyze the motivation of characters in books—if this character does this, this character will respond this way. It may not be within their natural comfort zone, but over time, it may connect to their logical style. While it should be noted that any one of the six other (not solitary) learning styles can also be applied to a social learner, people within the social or interpersonal category tend to learn much better in a group atmosphere. This type of learner thrives in group projects and shines in social settings. People in this category have strong communication skills and can pick up on verbal and nonverbal communication from the people around them. They can pick up on the emotions of other individuals and groups. In other words, social learners tend to have a high emotional IQ and may be the first to notice when someone else’s demeanor has changed. Social learners gravitate toward extracurricular activities and team sports and are energized by social interactions. People who are social learners do well when they can bounce their ideas off of other people. To connect to social learners it’s a good idea to include class presentations, group discussion and group projects, as they will feel most comfortable in this type of setting. Social learners may struggle to sit quietly and absorb information during long lectures. To help with this, it may be helpful to break it up with small group discussions or ask them to repeat back information in their own words. While the opposite of social, a solitary learner is similar in that it can include all the other learning styles, but people in this category learn better alone. Solitary learners are often self-directed, quiet and independent. These people tend to be very good at identifying and understanding their own emotions and feelings. They value learning independently and quietly. Solitary learners benefit from time alone to work through problems and new ideas. They do well when they’re given time they can spend being introspective and working through issues. Some strategies that work well for solitary learners is encouraging them to keep a journal, giving them projects that they can work on alone and allowing them to work independently when possible. They are likely to respond better to writing assignments and projects as opposed to public speaking or in group projects. If group projects are necessary, they would do well to be given a section of the project that they can contribute on their own time. A naturalistic learner is similar to a kinesthetic learner in the sense that they like hands-on experience and do better with physical involvement as opposed to learning from a textbook. The key distinction between the two is that the naturalistic learner prefers to do their hands-on learning primarily outdoors. Naturalistic learners are curious and investigative. They can take hands-on experience from nature to understand the world around them and draw conclusions about plants, animals and the environment. They tend to be very good observers and are naturally comfortable with animals. Naturalistic learners will do very well if they can have some time outside actually exploring nature. Gardening, nature walks, field trips and park trips are all ways to get naturalistic learners outside. Like kinesthetic learners, naturalistic learners may enjoy science as it lends itself well to outdoor exploration. How do you engage a naturalistic learner when they can’t leave the classroom? Consider bringing nature indoors. Grow plants, have a class pet or create a tiny ecosystem. If you’re studying the various forms of rocks, bring in samples that they can touch. Students who have a naturalistic learning style enjoy reporting back the information they’ve learned from the world. You can take this natural desire and apply it to other fields of study like writing. Have your nature-friendly student write reports about things that they are interested in like animals and the outdoors. They can also develop their reading skills by reading books related to nature. All people approach learning in different ways and from different perspectives. Most people have a range of learning types that work for them but usually have a type of learning that stands out from the rest. Guest author Anna Kucirkova speaks 3 languages has a passion for kids and writing. While she has been to many places in Europe and SE Asia she still wants to explore the rest of the world. The early days in your teaching career can often seem overwhelming. There is a new school environment to get used to, there are skills to practice and hone and, oh yeah – a classroom of kids waiting to be taught! Thankfully, today’s new teachers have an increasingly diverse range of dedicated technological aids to help them during this key period of their teaching careers. To help you get the best out these various aids and devices, we have put together this list of 5 tops tech tips for new teachers! Wouldn’t it be handy to have some way of reaching out to and connecting with other teachers in similar situation to you? People you could discuss problems with, bounce ideas off and come up with solutions together? Well, social media isn’t just for sharing cat videos! It is a tool to connect people with intersecting passions, hobbies and – most importantly for you – careers, such as teaching. Set up Twitter & Facebook accounts and connect with fellow educators. Perhaps consider keeping this separate from your private accounts however, and be conscious of discussing specific details like student names that could get you into trouble – i.e. don’t do it! There are a wide range of regional, national and even international conferences run for teachers every year. Attending them can provide outstanding additional educational resources and tips and can really jump start your career. The trouble is that time and money required to attend them can be prohibitive. Instead, consider attending them online. Many conferences live stream presentations, often for free or simply for registering with the conference. Many more even record speeches and presentations, again making them available online for very little money or effort. Whilst you can plan the events and topics in a lesson to keep students engaged, there will inevitably come a little dead time now and then. This could be that a task you set is completed faster than you plan, it could even be so simple as a couple of students out the room (in the bathroom or with the principal for example) and you stalling so the class doesn’t accelerate ahead without them. Keep a bookmark bar or library of links related to your topic on a laptop connected to a projector to fill this time. It could be short YouTube clips of films connected to topics, snippets of interviews with experts or witnesses – anything of this nature will keep the class engaged in the short term and help fill a little time. As great an aid as technology can be, one key tip to remember is don’t over do it. A little can go a long way, and technology can often be something of a cold way for a class to learn a subject, with only limited interactions allowed. Use technology to support learning and remember that an in class discussion, talking face to face with no distractions can be highly illuminating for students. Also, you don’t want to rely on technology too much because when it fails – and it will from time to time – you don’t want your lesson plan to go out the window because the Internet has crashed or a projector won’t cooperate. Speaking of the time the tech lets you down; the school tech team will be your knights in shinning amour in this instance! But they can also be so much more than this. Almost every school will have someone on staff to look after the school tech – whether this is a team or a single person. Go to them and ask them what other teachers are doing, what they think is working and what is not. They can also fill you in on the current state of the school tech – to help curb any overambitious plans you may have. Classroom discipline begins with your approach to children and how you talk to them, so they listen to what you say. There are tips and techniques to achieve this, and by taking the following approach, you’ll have their undivided attention. Talking down to children makes them feel small and insecure. Drop to their level, and look them in the eye during one-to-one conversations. This will help them focus, and it endorses positive body language. It also breaks down barriers. Calling a child by their name is a sure-fire way to grab attention. Begin with their name when you start a sentence and always be polite when using names to engage with the child. You can say, “Billy, would you read for me please?” as an example, and speak to them this way to make the child feel like they are doing something important for you. Younger children respond better to shorter questions. Therefore, keep things simple by using small sentences with one-syllable words, and look for signs of confusion when you speak. If they start staring into the distance or have a glazed expression on their face, you are over-complicating things. Children like to be offered choices. For example, you could say, “Would you prefer to paint first, or read a book?” This way they get a choice and still complete the tasks you wanted them too. When asking a child to do something, begin by saying, “I want you to…” so they are clear what you are asking them. Children want to please, but don’t always respond well to orders, so this is a useful alternative, and it makes everything nice and clear. A firm but practical way to get a child to do something is to tell them, “When you stop talking, then we can all watch the film.” This provides the child with a choice, and instead of it being an order, it becomes more of an instruction. Of course speaking to children is different than chatting with adults. Their level of understanding will be less, and any instructions you give them should reflect this. Take this into consideration as you speak to them. Instead of giving them impossible questions they can’t answer such as, “Why have you done that?” Sit down with them and say something like, “Let’s talk about this,” so they understand what they did wrong. You can’t reason with a child when they are in the midst of a full-blown tantrum. Respond calmly if they start hollering, and the more they shout, the softer you reply. Calming methods work well in this situation. Become a listener, and let the tantrum pass naturally for a peaceful outcome. Young children need constant reminders to remember what you want them to do. Therefore, try not to stress if you have to mention something a few times before anything happens, this is just natural behaviour. It’s fine to repeat instructions to young children. There are many techniques you can use to talk to a child effectively. 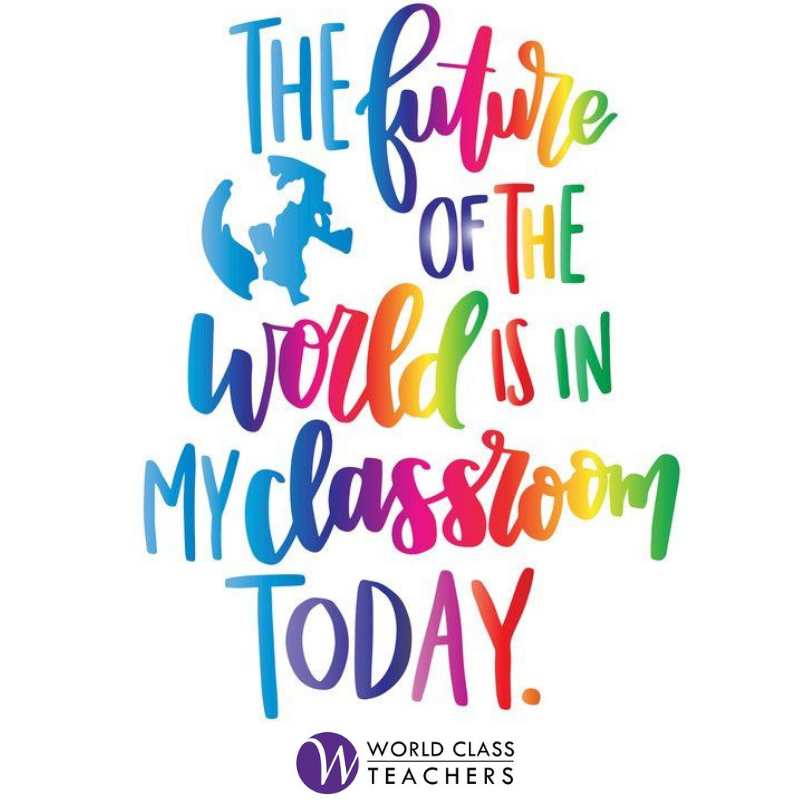 We know this at World Class Teachers, and we have a wealth of teaching roles available for you, so find out more about them and contact us today or call to speak to us on +44 (0)208 579 4501. What’s going on with women in the education system? Did you know that 130 million girls between 6 and 17 are out of school, or that nearly half a billion women worldwide are illiterate? Millions of females around the world are denied the right to an education and will never step foot inside a classroom. Our friends at STA Travel have outlined some shocking truths. The South Sudanese government has just 2.6% of its budget dedicated to education. The country has the highest percentage of uneducated women in the world; a shocking 73% of girls will never step into primary school. The ratio of teachers to students in the Central African Republic is the worst in the world. There is an average of 1:80, in comparison to 1:12 in the Netherlands. For the girls who do have the opportunity to go to school, the lack of resources and male favouritism is a heavy hinder on their education. What are the global issues? Female education goes beyond the classroom; evidence shows that educated girls are healthier, wealthier and more independent members of society. Financial issues cloud the education system for women and girls. Even when school fees are eliminated the cost of uniforms, textbooks and transport deter households. Due to cultural norms, many girls are expected to take care of household duties instead of gaining their education. Did you find this blog relevant? You can keep abreast with everything education with the STA Travel blog. 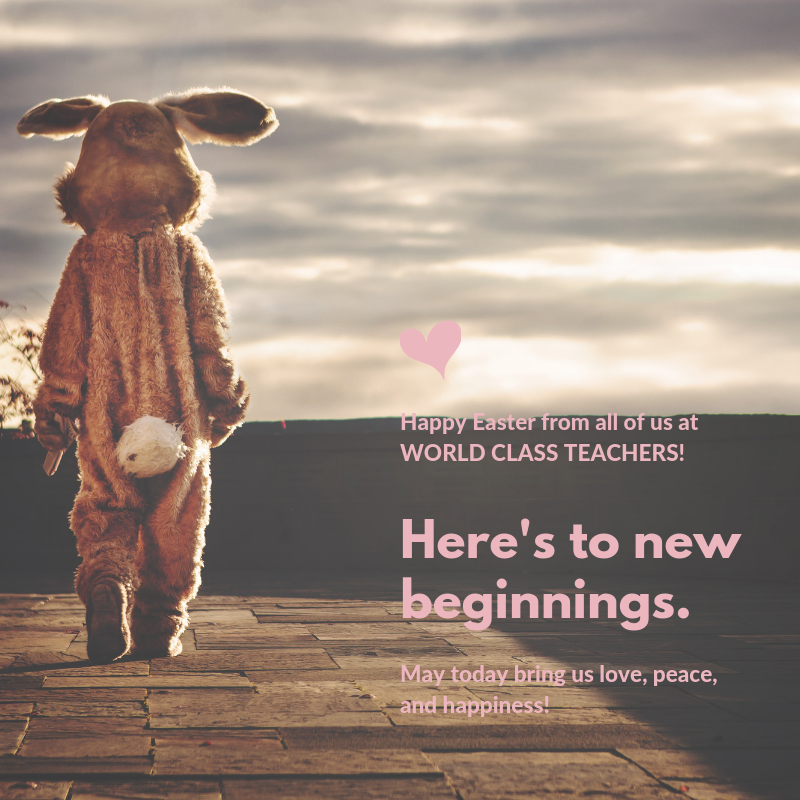 And for even more Follow World Class Teachers on Facebook and Twitter. The average teacher spends hundreds of pounds each year buying supplies for their students. As cash-strapped schools look at ways of saving money, this can often lead to a shortfall in classroom essentials. As a result, teachers have to be prudent with expenditure and find cheap places to purchase stationery and other resources. Here’s our pick of the best, shop here for all those teaching must-haves. If you’re looking for classroom essentials, this is the ideal solution. Visit the online Staples store for low prices on stationery throughout the year. They provide a price match guarantee and offer FREE delivery on orders over £36 saving you even more money. With plenty of pens for sale, desk supplies, and special offers on a wide range of stationery products, you’d be wise to shop here for all those classroom basics. Buy in bulk to make the best savings. The Works! The name says it all. The good thing about this online and high street store is you can click and collect whenever you need to order anything. Shop for books, arts and craft or stationery, and collect the items from any of the 400 stores nationwide. With some amazing offers online, you are sure to save money by shopping here. What’s more, you’ll also earn points for every £1 you spend at The Works as a nice little reward. Whether you want pens and pencils or glues and tapes, you will find all types of deals in-store at B&M. Search for your local store online then pay a visit in person. There’s plenty of paper and lots of craft and design products for an ultra-low price. You’ll find the main website for B&M here. One click could save you a small fortune! Look for classroom resources at Amazon. You’ll find everything you need right here. There are cheap, ready-to-buy supplies at Amazon and plenty of inspiration for all types of classroom activities. Here you’ll find items like post-it notes, phrase strips and reward stamps which make learning fun and fulfilling. Shop today and make savings straight away. Amazon is full of amazing bargains. Okay, there’s a lot of junk on eBay but some genuine bargains as well. Search for classroom and teaching supplies, and you’ll be surprised at the types of savings you can make. Many sellers offer free postage for their sale items which means you won’t have to dig quite as deep into your pocket. Some people hate eBay, but others know how great it is for a bargain or two. Take a look if you want to buy pencils or pens and don’t want to spend too much money. You might not think of Pinterest when you are shopping for school supplies but you should. You’ll find so much inspiration on here for classroom activities, and there are plenty of boards that advertise cheap stationery supplies. Arts and craft projects are popular on Pinterest, and there are plenty of practical DIY tips for the classroom if you want to save even more money. You can’t really miss the various pound shops in the UK. From Poundland to Poundworld and Poundstretcher it’s the same old theme, with each store in question selling cheap consumer goods. Visit online or take a trip in person and you will find plenty of discounts on stationery, crafts and other classroom basics. They’re a good option if you have a limited budget to spend on school supplies and you are paying for the privilege. As a dedicated teacher, it’s understandable you want to provide the very best facilities for your pupils. Ideally, you’ll want to make the classroom interesting and have enough supplies to make it fun. Hopefully, the sites we recommend here should save you money when you go shopping for school supplies next. Remember, if you are searching for your next teaching role in London we have plenty of options available here at World Class Teachers. Find your dream opportunity by contacting us today or call to speak to us on +44(0)208 579 4501.